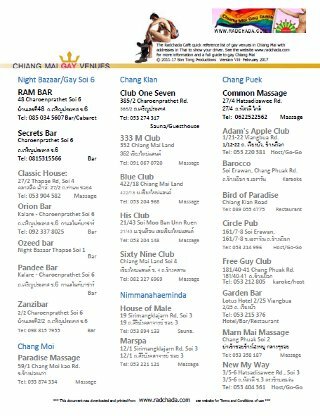 Articles on Chiang Mai Gay News have categories assigned to them to make finding what you want easier. This page allows you to select a category and list all the articles of that category. Number of articles in each category are also shown. You can also search by tags for various topics and individual gay venues. Click here for tag listings.